Ted E Bear is shown in the Sedona Robe. 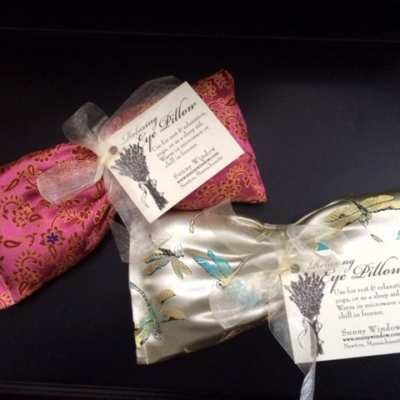 If you would like a different color robe we offer Seafoam (green) or Periwinkle (blue). 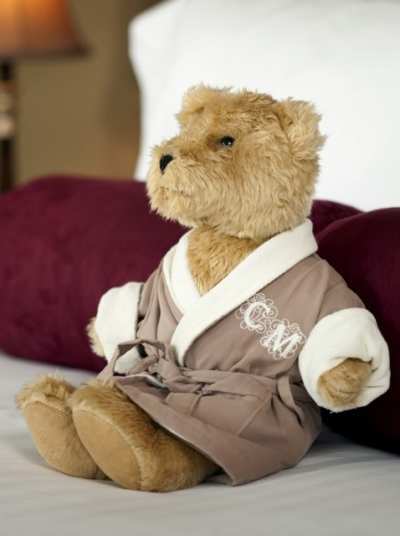 Ted E Bear is a mascot of The Captain’s Manor Inn. He is soft and cuddly and sports his very own monogrammed robe for relaxing. 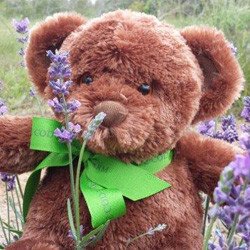 Ted E Bear has left the Inn with various guests to travel throughout the country to new homes as well as to Canada and the UK. His parents often send us pictures of him in his new home.